Our leaves were very slow to turn. We had a very rainy summer…so we thought the leaves would not be as brilliant this year. 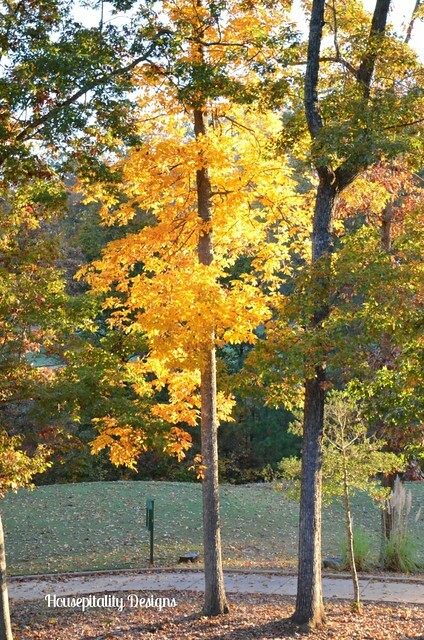 But then overnight they seemed to burst into beautiful color..
Fall is a beautiful time of year to celebrate family…. …..as we gather together to give thanks. 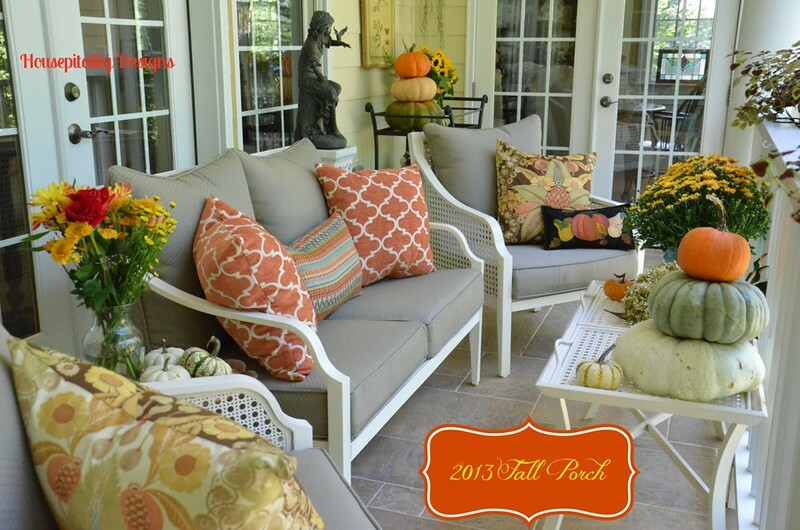 Or outdoors enjoying the beautiful fall leaves…. Who can also be adorably scary!.. …..her beautiful pine cone turkey that she made. My heart melts every time I see this…it remains out all year…for me to enjoy…and make me smile. 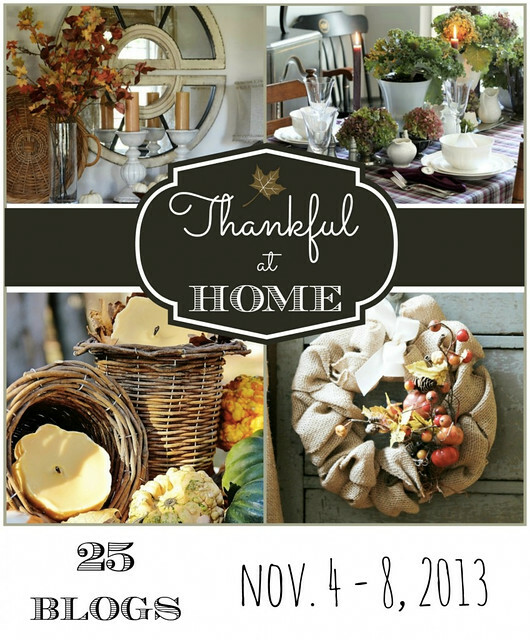 …..to celebrate being “THANKFUL AT HOME”. We are all so blessed. 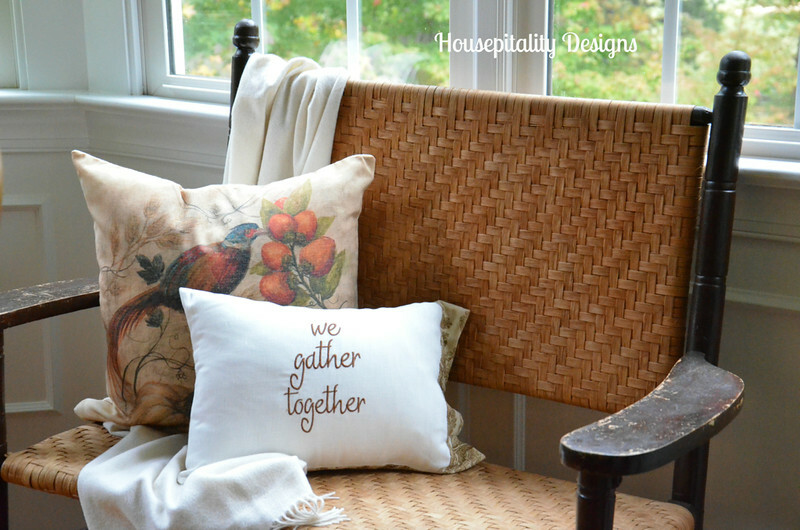 Your home is the perfect place to gather together. And, your little sweetie looks just like you. 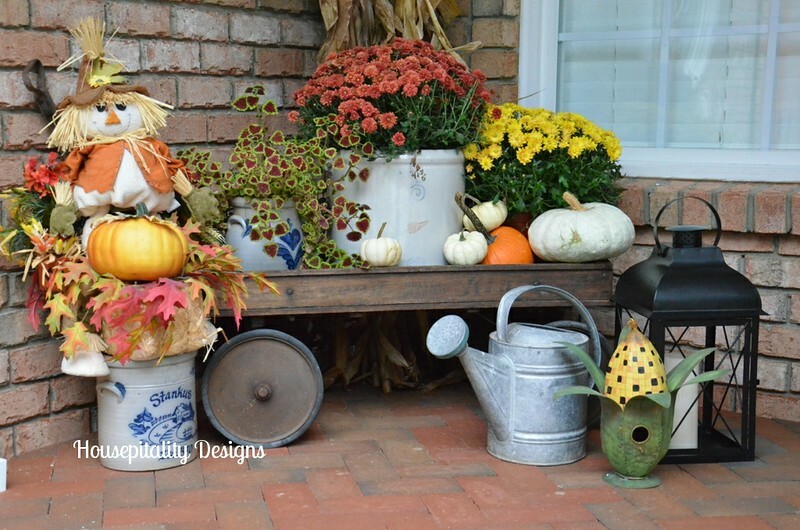 Hi, Shirley: Love your pics of the backyard, the corner garden and the stacked pumpkins. It was so beautiful on Friday here, and you are right. Overnight and the woods were on fire with color. I’m sorry Mel missed it, being at the FSU-Miami game in Tallahassee. Now my yard is covered with leaves. The ebb and flow of life…it’s so grand. Beautiful post, Shirley! Thank you! “Thankful at Home” – same thing, right? I knew I didn’t have the name right but my iPad acts silly if I back up to look. I think fall is my favorite season…the changing colors, the cooler temps, the smells, crunching leaves, cozy fire, but most of all being thankful for family and our many blessings. Beautiful decorations, photos and memories you have shared, Shirley. 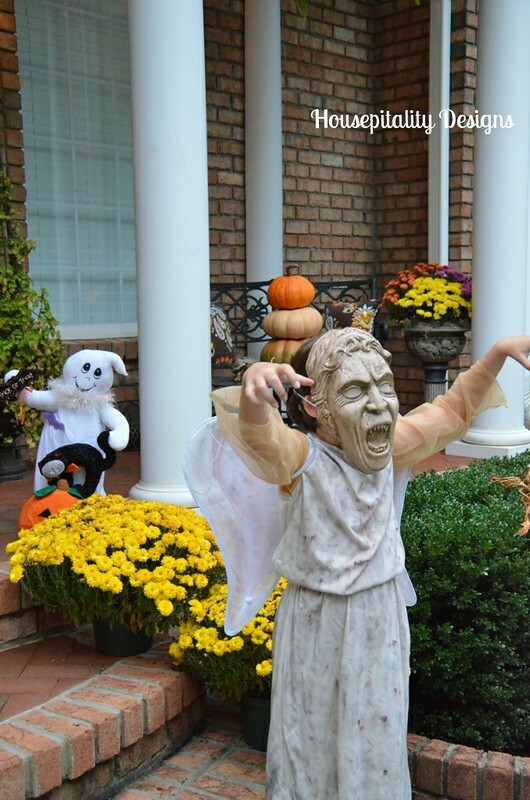 Stacey’s recent post…November 1: The Perfect Day for Flowers and ….. I don’t comment very much, but I just had to say how beautiful these pics are. They are absolutely gorgeous. They should encourage all of us to be so thankful. Beautiful. Thanks!!! The sunlight through the leaves is so pretty. Your home looks wonderful, and very welcoming. Tracey Steele’s recent post…Aldbury Murders. Everything is so beautiful Shirley, I just love your home and the scenario around you is stunning! I can’t get over how much your “sweetie” looks like you! I just told my husband yesterday that it looked like the leaves turned overnight…we usually go to north Alabama this time of year but I don’t think we’ll make it this year. your home is so welcoming and cozy….and I can’t wait for all the tours! 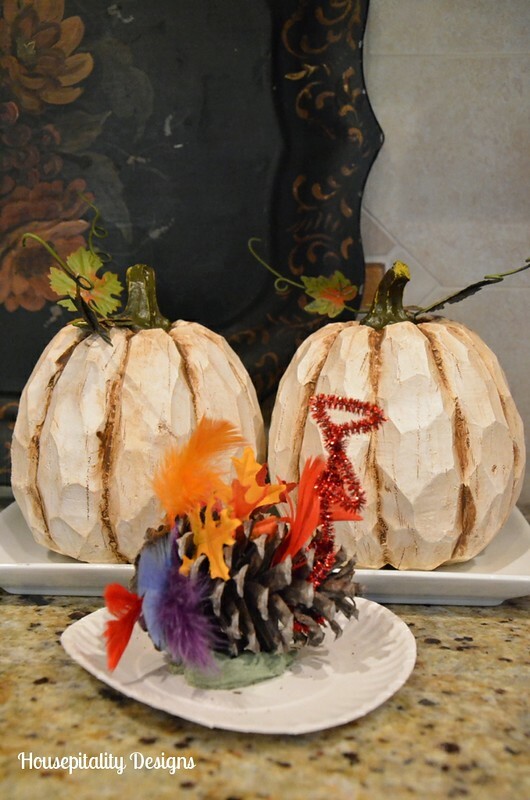 Your Fall decorations and vignettes are lovely! 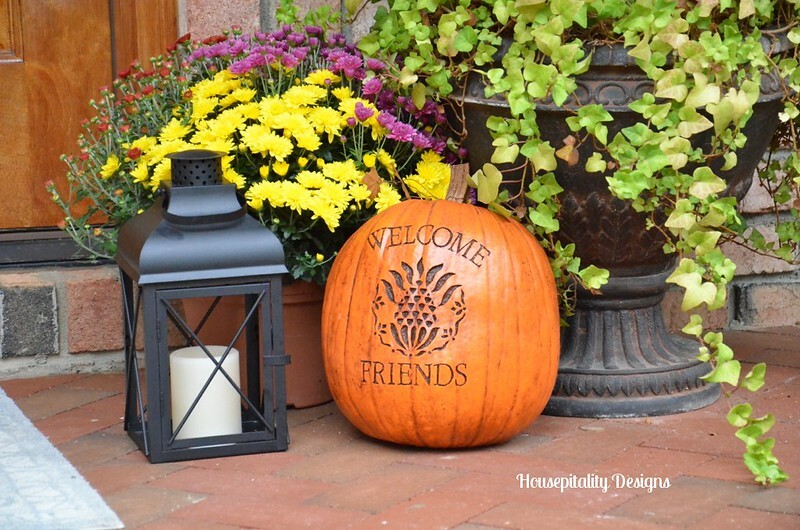 Your porch is gorgeous decorated for Fall- I love the pumpkin toparies! I agree, family is so important! Fall and Thanksgiving are one of my favorites seasons. Thank you for sharing your lovely home with us. How sweet that you keep that cute little pinecone turkey out all year – Grandmom of the Year Award goes to you Shirley! Your fall home is lovely shirley. Beautiful post Shirley. 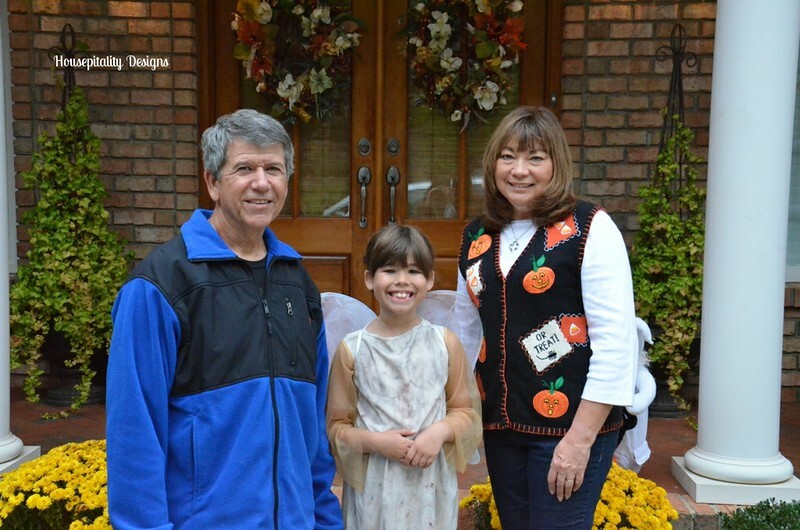 Your granddaughter sure is a cutie and she sure loves her grandma & grandpa. Enjoy her while you can as they grow up so quick. All of your pictures are wonderful. Will be looking forward to Thankful at Home series. Such a lovely post and such a wonderful handmade gift from your little girl. Thanks for sharing. What a beautiful post, Shirley! Your home looks so pretty all decked out for Fall! I always love seeing your porch! 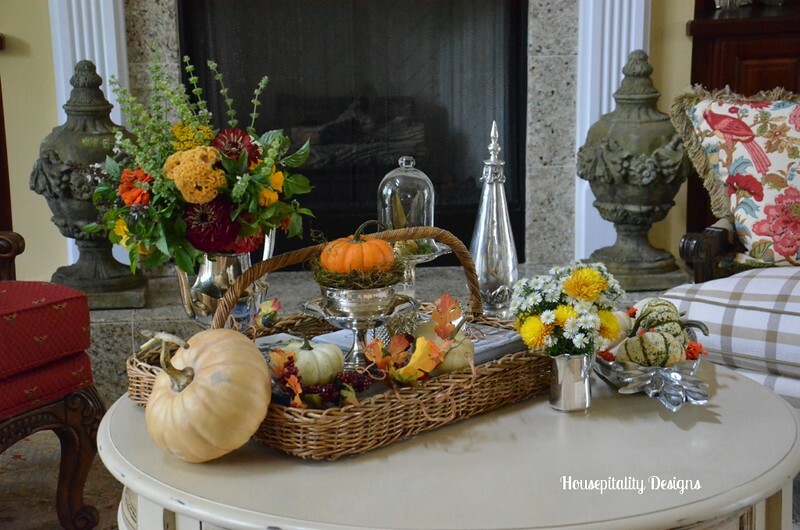 I thought about you the other day, as I actually started to put some of my Fall decor away. 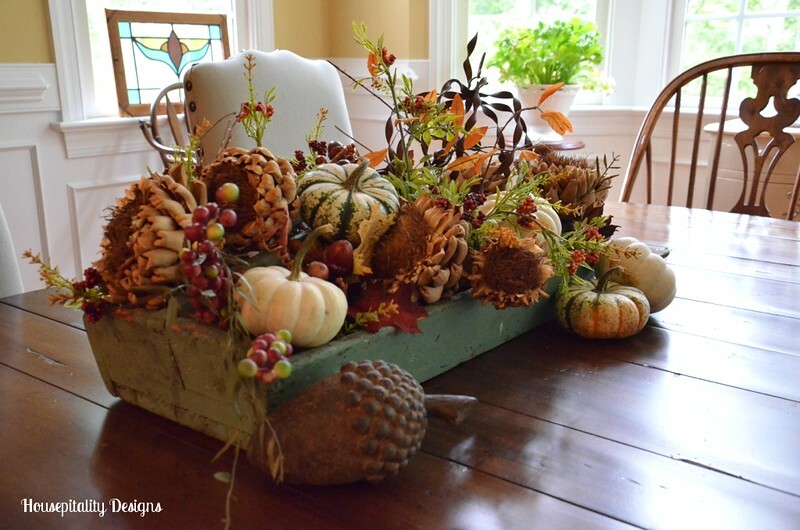 Before we know it, we’ll be decorating for the next season; but, I’m still enjoying Fall. Your “sweetie” is adorable. What a great picture. Everything looks so inviting and pretty for fall. Love your beautiful porch. It is all gorgeous. Wonderful post Shirley! I’d keep that pine cone turkey out all year long too!